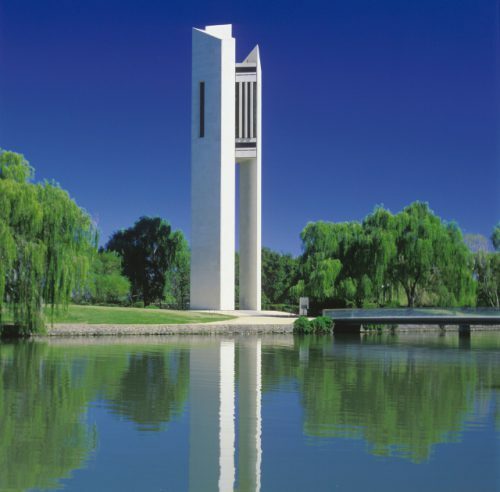 THE National Carillon will be alive to the sounds of music composed by Canberra Grammar School Year 9 Elective Music student this Thursday. The students have been involved in a unique project that involves working on creating their own music compositions for the Carillon and have been offered the opportunity to have them performed live by accomplished carillonist, National Capital Orchestra conductor, CGS old boy and school music assistant, Leonard Weiss. They have been researching the Carillon and its musical ability such as range, limitations and sound qualities, and have drafted their pieces under the guidance of classroom teacher Steve Allen with advice from Weiss. CGS Year 9 Elective Music Class recital, at the National Carillon, Aspen Island, 9.30am Thursday August 20. All welcome.